U.S. President Donald Trump blocked the release of hundreds of records on the assassination of President John F. Kennedy, bending to CIA and FBI appeals, while the National Archives came out Thursday night with a hefty cache of others. "I have no choice," Trump said in a memo, citing "potentially irreversible harm" to national security if he were to allow all records to come out now. He placed those files under a six-month review while letting 2,800 others come out, racing a deadline to honour a law mandating their release. The documents approved for release capture the frantic days after the Nov. 22, 1963, assassination, during which federal agents madly chased after tips, however thin, juggled rumours and sifted through leads worldwide. They include cables, notes and reports stamped "Secret" that reveal the suspicions of the era — around Cubans and Communists. They cast a wide net over varied activities of the Kennedy administration, such as its covert efforts to upend Fidel Castro's government in Cuba. For historians, it's a chance to answer lingering questions, put some unfounded conspiracy theories to rest and perhaps give life to other theories. Despite having months to prepare for disclosures that have been set on the calendar for 25 years, Trump's decision came down to a last-minute debate with intelligence agencies — a tussle the president then prolonged by calling for still more review. The delay sparked a round of finger-pointing among agencies and complaints that Trump should have released all records. Roger Stone, a sometime Trump adviser who wrote a book about his theories on the assassination, urged Trump to review personally any material that government agencies still want to withhold. Trump should at least "spot check" any extensive redactions to make sure agencies are not "dabbling in acts of criminal insubordination," Stone said in a statement. 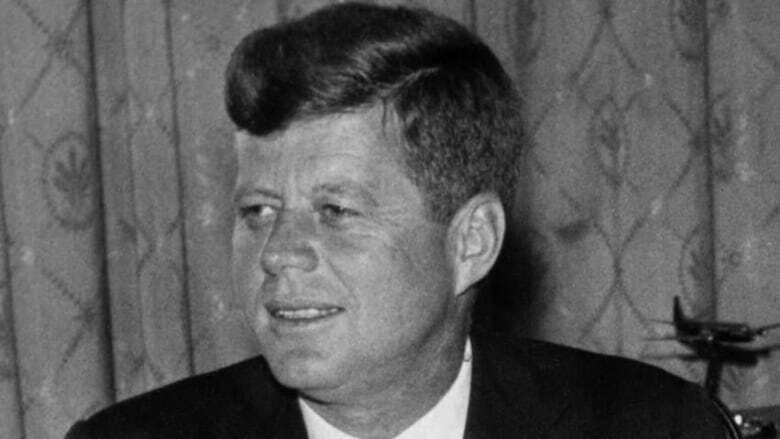 As for the unreleased documents, Trump will impress upon federal agencies that "only in the rarest cases" should JFK files stay secret after the six-month review, officials said. In the meantime, experts will be poring through a mountain of minutiae and countless loose threads in search of significant revelations. In the chaotic aftermath of the assassination, followed two days later by the murder of the shooter, Lee Harvey Oswald while in police custody, FBI Director J. Edgar Hoover vented his frustration in a formerly secret report found in the files. 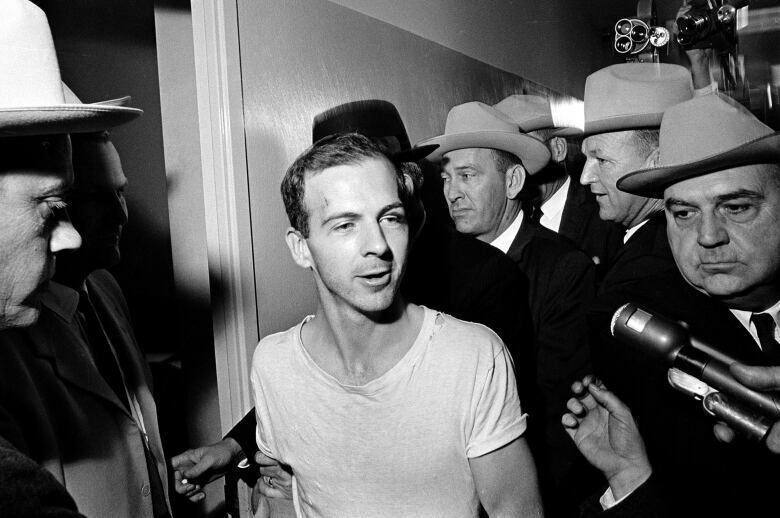 It opened: "There is nothing further on the Oswald case except that he is dead." But, reflecting on Oswald less than an hour after he died, Hoover already sensed theories would form about a conspiracy broader than the lone assassin. "The thing I am concerned about, and so is (deputy attorney general) Mr. Katzenbach, is having something issued so we can convince the public that Oswald is the real assassin," he said. He also reported: "Last night we received a call from our Dallas office from a man talking in a calm voice and saying he was a member of a committee organized to kill Oswald." Hoover said he relayed that warning to Dallas police and was assured Oswald would be sufficiently protected. Oswald was shot dead the next day by Jack Ruby. A document from 1975 contains a partial deposition by Richard Helms, a deputy CIA director under Kennedy who later became CIA chief, to the Rockefeller Commission, which was studying unauthorized CIA activities in domestic affairs. Commission lawyers appeared to be probing for information on what foreign leaders might have been the subject of assassination attempts by or on behalf of the CIA. A lawyer asks Helms: "Is there any information involved with the assassination of President Kennedy which in any way shows that Lee Harvey Oswald was in some way a CIA agent or agent" — here the document ends, short of his answer. Among the files is a more than 400-page document that appeared to describe people being monitored as potential threats to Kennedy and his successor, Lyndon B. Johnson. JFK assassination: Did Toronto man's photo show 2 shooters? Officials described one such person this way: "Subject participated in pickets against JFK in 1961. Allegedly trained in guerrilla tactics & sabotage. Considered very dangerous by those who know him. Has visited USA & Cuba. Considered armed and dangerous." Some suspicions missed the mark badly. The collection also discloses a Sept. 14, 1962, meeting of a group of Kennedy's senior aides, including brother Robert, the attorney general, as they discussed a range of options against Castro's communist government. The meeting was told the CIA would look into the possibility of sabotaging airplane parts that were to be shipped to Cuba from Canada. McGeorge Bundy, JFK's national security adviser, cautioned that sensitive ideas like sabotage would have to be considered in more detail on a case-by-case basis. Much of Thursday passed with nothing from the White House or National Archives except silence, leaving unclear how the government would comply with a law requiring the records to come out by the end of the day — unless Trump was persuaded by intelligence agencies to hold some back. White House officials said the FBI and CIA made the most requests within the government to withhold some information. Trump ordered agencies that have proposed withholding material related to the assassination to report to the archivist by next March 12 on which specific information meets the standard for continued secrecy. That standard includes details that could cause "harm to the military defence, intelligence operations, law enforcement or conduct of foreign relations," Trump wrote in his order. The archivist will have two weeks to tell Trump whether those recommendations validate keeping the withheld information a secret after April 26. The full record will still be kept from the public for at least six months — and longer if agencies make a persuasive enough case for continued secrecy. The collection includes more than 3,100 records — comprising hundreds of thousands of pages — that have never been seen by the public. About 30,000 documents were released previously — with redactions. Whatever details are released, they're not expected to give a definitive answer to a question that still lingers for some: Whether anyone other than Oswald was involved in the assassination. The Warren Commission in 1964 concluded that Oswald had been the lone gunman, and another congressional probe in 1979 found no evidence to support the theory that the CIA had been involved. But other interpretations, some more creative than others, have persisted.